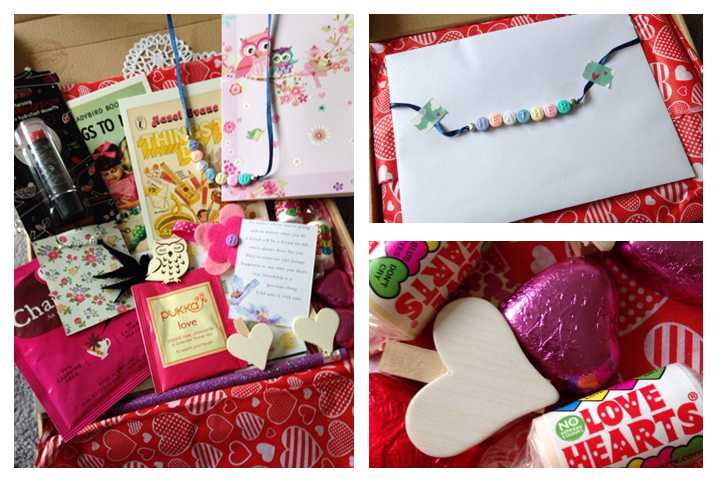 A few weeks ago I saw via the wonderful world of Instagram that Ladybird Likes was setting up a Valentine's swap. Now, I am not into Valentine's Day and it doesn't really bother me either way if people celebrate it or not. I think it's nice if you want to and just as okay if not. Anyway, I do like a good swap and so I thought I would get involved. My swap partner was Emma and Zoe from Ladybird Likes had given us our Instagram names so that we could do a bit of finding out about the person. Mine arrived last week, but I decided to wait until Valentines day anyway, as why not. I got loads of lovely things and Emma had totally got that I am into owls and tea! I can't imagine why she would have got that feeling! There were chocolates and sweets too, which came in handy for my packing yesterday! The Chai tea will be a little celebration for later in the week, but more about that another time. Thanks so much to Emma and the lovely things she sent, I am loving the postcards too and they will adorn my walls soon. Hope you all had a lovely time whether you celebrated the day or not!